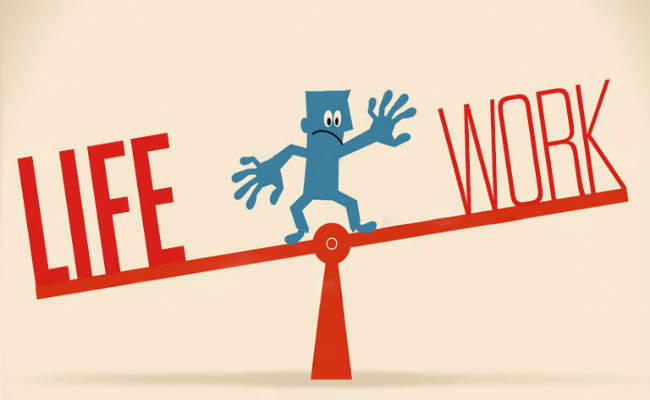 There is no phrase abused more than “work-life balance” in the professional world. At least, I cannot recall one, and so won’t you. You will find yourself discussing it with the co-workers, talking about it with your family or frequently asking for advice from the manager. However, with experience and a little research, there are certain things which I have come to understand about this apparently illusive concept. Here is a regulatory piece of advice for every single professional out there to understand this notion of work-life balance. One of the biggest challenges that every generation of employees have faced is balancing the demands of work and personal life. Whether you have your own business, work as a freelancer or in a leadership position in corporate, everyone has a life as busy as a bee. The pace with which technology has advanced over the last few decades has had a transformative effect on each aspect of our lives, and yet instead of working fewer hours than before, we are always complaining about lack of time for our family and friends. A majority of us remain overwhelmed with ‘work’ for most part of the day or so would we like everyone around us to believe. Despite being a high achiever in respective fields, people are plagued with dissatisfactions and delusions. Many of us are surviving rather than thriving, finding it hard to manage boundaries between work and the other areas of our lives. We are just living our lives, going about our businesses, and blaming our work, and poor work-life balance for the struggle. Sometimes we find a notion getting so embodied in the psyche of human mind that the mind starts accepting it as a realty. Work-life balance is such a notion or strategy that gets talked about every time there is a discussion about managing the frantic pace of our lives. In simplest words the term “work-life balance” refers to a reasonable balance between work and the rest of our lives. This notion essentially present work as a different ‘you’ rather than being a part of you. It presents work as something that we have to do unwillingly, just for the sake of paying our bills and running our homes. In short, the work-life balance strategy promotes work as something to be endured. On the contrary most high achievers are passionate about their careers. We are passionate about something that we love doing, and therefore, by definition, if you work with passion you are always going to find it hard to maintain a balance. Many of us who love and are passionate about jobs find it as a great source of happiness. According to Ed Diener, a noted happiness researcher being satisfied with your work is an important component of happiness. While the concept is well intended, it is misguiding and unhelpful in the current times, for it pits work against life, creating an unavoidable conflict. Instead of creating a divide between work and life, one needs to integrate them in such a way that we can prosper, and lead a satisfied and happy life. There are no two thoughts about the fact that work forms a great part of our lives. For those who are passionate about what their work, it is a satisfying feeling to be able to wake up daily and do what they love doing and get paid for that. Therefore, instead of finding fault with work-life balance for all your woes, one should try to find a job that will feel more fun than work. While it is easier said than done, once you do find you’re calling you will cease to exist as a dual identity, one personal and other professional. This doesn’t mean that employers should promote a culture of workaholism and force their employees to attend meetings on weekends. In fact, employers should look for ways to make an employee’s time at work better and more satisfying. On the other hand, as an employee you can help yourself by improving your daily routine- including regular exercising in your daily regime, reading constructive, eating healthy and engaging in healthy conversations with your friends and family. Saurabh Tyagi is a blogger and a professional career author with proven expertise in writing for topics related to jobs, job trends, different job opportunities, various workplace and industry information, tips and strategies for job seekers. You can follow him on LinkedIn or Twitter.